Yap is a part of the Federated States of Micronesia and lies in the archipelago of the Caroline Islands. Some of its closer neighbors are Palau to the west, Guam to the north, and Papua New Guinea to the south. The state of Yap is roughly the size of Washington, D.C. and primarily consists of four major islands and 134 coral atolls. Coral atolls are islands that have sunk beneath the ocean’s surface, thus leaving a ring of coral barrier reef and tiny island islets. Yap has a total area of 49.7 square miles and these four islands (collectively known as Wa’ab) comprise 38.7 squares miles (Gaan and Chieng 2004). Three of these main islands-Yap, Gagil-Tomil, and Maap are connected by roads. The fourth island that composes Wa’ab, Rumung, is only accessible by boat. Yap’s highest point is that of Mt. Matade, which reaches a maximum elevation of about 175 meters. Geologically, the islands of Yap are composed of two distinct sequences: that of ancient weathered rock and that of weathered metamorphic schists (WWF). These main islands are surrounded by a broad fringing reef giving rise to some of the best diving in the world. The climate in Yap can be classified as “tropical” with yearly temperatures averaging 27°C. Rainfall in Yap is seasonal with the wet season occurring from June through October, giving the islands an average annual rainfall of 120 inches (Gaan and Chieng, 2004). May through November, Yap is subject to frequent heavy rains and is subject to typhoons. The most recent typhoon that hit Yap was that of Typhoon Sudal which hit Yap in early April of 2004. The Yapese government declared a state of emergency on April 12, 2004 as water, crops, homes, businesses, mangroves and coral reefs in Yap were destroyed. In addition to varying weather Yap is also home to many different types of biome including tropical dry forests, which are under increasing threat thus classifying the area’s conservation status as “critical/endangered”. According to the WWF the main biome types are that of tropical and subtropical dry broadleaf forests. In addition to tropical dry forests, Yap is also home to pristine mangroves and rolling hills of green making Yap an eden for all to enjoy. Mangrove forests occur along the coast in low, sheltered areas. Twenty-six percent of the land is used for agroforestry and the dominant species found in these “tree gardens” are that of coconut palm, bread, fruit, banana, cassava, taro, papaya, betel nut and a variety of medicinal plants. The Yapese people have held strongly onto their cultural traditions and roots thus making traditional medicine in Yap of high importance. Many of these plants are grown in these tree gardens and using plants native to Yap is still a major part of Yapese culture. In addition, to these pristine terrestrial forests Yap is also home to some of the most amazing coral reefs in the world. The biodiversity found in Yap’s coral reefs is high and is one of the reasons as to why Yap is such a popular diving place in the Federated States of Micronesia. 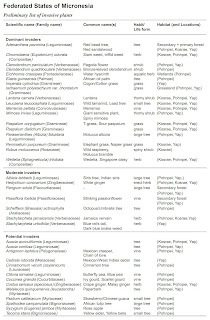 Biodiversity describes the sum of all the variation in the biosphere. This biological variation can be considered at many different levels. One can measure the genetic variation within a population, the number of different species in a region, or the number of evolutionary lineages that exist. Regardless of what level one decides to measure, a high amount of biodiversity is extremely beneficial for humans and for the health of an ecosystem. First of all, this variation provides for a greater likelihood of resistance to environmental changes, making the ecosystem more resilient. Secondly, humans benefit from the many goods produced by a diverse ecosystem. Humans already receive countless natural resources, crops and medicines and there are still more extremely useful species to be discovered. Biodiversity also produces valuable ecosystem services such as nitrogen fixation and the regulation of hydrologic and carbon cycles. Lastly biodiversity is important because it has an intrinsic value to humans. People have an inherent love of nature and utilize it for anything from spiritual to recreational activities. Yap has the highest biodiversity in the Federated States of Micronesia (Gaan and Chieng, 2004). It has many significant terrestrial communities, ranging from mangroves, atoll forests and marshlands to savanna lands and upland forest (Gaan and Chieng, 2004). This wide array of ecosystems is able to support many different species because there are so many niches available. Today much of the original uplands are being converted into agroforest (Wortel, 2010). This helps provide resources for the people of Yap, but it also maintains a much higher level of biodiversity than the alternative of monoculture. The mangroves on the western side of Yap host 10 different species of trees while those on the eastern side have 15 unique species (Gaan and Chieng, 2004). While endemism on Yap is not as high as more isolated islands, it is still home to 4 endemic bird species and 2 endemic fruit bats. (Gaan and Chieng, 2004). There are also 2 species of flying foxes and a giant Micronesian gecko that are endemic to Yap. (Gaan and Chieng, 2004 and The Nature Conservatory, 2003). The tropical dry forest in Yap is an incredibly important ecosystem to conserve. Because of its high level of biodiversity, the ecosystem provides a great amount of goods and services, which the people of Yap depend on for subsistence. However, if the ecosystem is overexploited then a great deal of biodiversity will be lost. 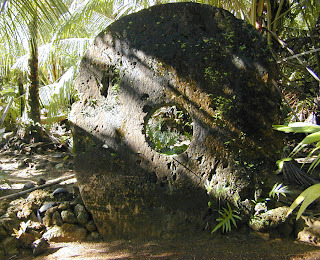 The economy of Yap is well known for its use of large round stones as currency. The stones look like round disks with a hollow center and the larger, and more difficult to obtain stones have the highest value. Many stones are so large that even when they change possession they remain in the same place. Currently, Yap’s economy is fairly dependent on imports. Exports only have 10% of the value that imports have (Gaan and Chieng, 2004). The economy is traditionally structured around using agriculture to be completely subsistent. However, the ecotourism industry is growing and bringing in more capital. New fisheries are also important generators of income for Yap. Today, Yap faces the struggle of trying to retain its traditional culture alongside the modern world economy. Prior to 1889, when the Germans gained control of the island, the Yapese people had a well-established hierarchical structure (Lingenfelter, 1977). In this top-down structure, most of the burden was passed down to the lesser kinsmen in the villages. However, Yap is unique in that much of the island was divided and classified as tabgul, or pure land (Lingenfelter, 1977). If a community wanted to fish, garden or build on the tagbul land, they had to be directed by a magician or a specialist (Lingenfelter, 1977). 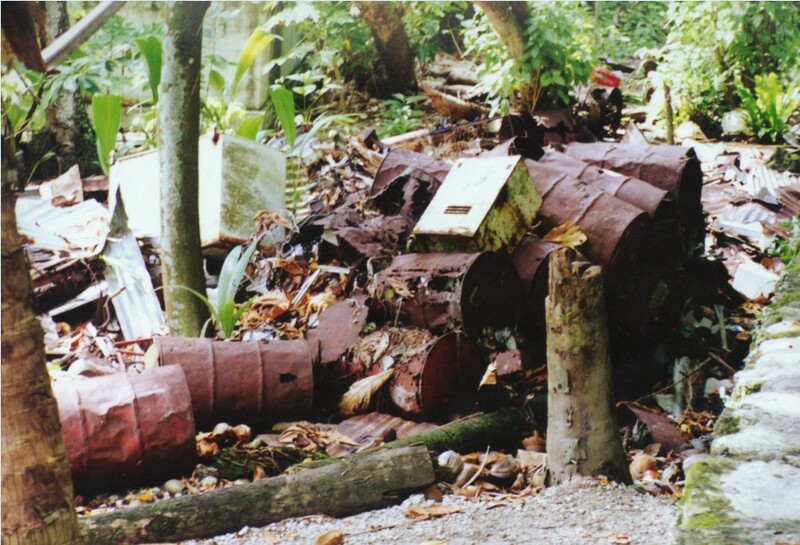 As a result, the Yapese people were very conscious about preserving their resources. Through their respect for their land they were able to sustainably maintain dense populations. However, modern technology and economic pressures are threatening this way of life. In order to counteract this, the current conservation efforts attempt not only to save Yap’s resources but also its rich cultural traditions. One of the most prominent forms of habitat degradation in Yap is land clearing for cultivation. Population pressure has increased the need for subsistence. Furthermore, the transitioning economy has led to commercial development for monoculture plantations. As a result, burn cultivation has been widely used to make lands suitable for food production. In 1958, Yap was reported to have 2,157 garden plots and 485 stone dwelling platforms (Falanruw, 1992). At this time when population was even less than it is today, there were 4.3 garden plots per household (Falanruw, 1992). Considering the geographical limitations of Yap and the necessity for food production, a two year fallowing period was not sufficient for mature forest canopy development. Ditched-bed technology was employed in Yap farming and its past effects can even be seen from aerial photos. This form of land cultivation degrades forest lands into savanna grasslands and is a major reason for the disappearance of the dry forest. Island cultures generally have a natural control against the overexploitation of resources. However, it is a major concern that Yap’s culture may have lost some of these societal controls and that the face of a transitioning economy is presenting new difficulties. 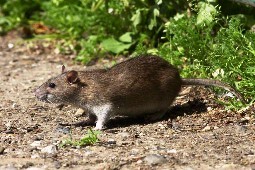 Many of invasive species are believed to be responsible for the decline of several endangered species. With the growing interconnectedness of Yap and foreign economies, via sea and air connections, the threat of invasive species is very high. 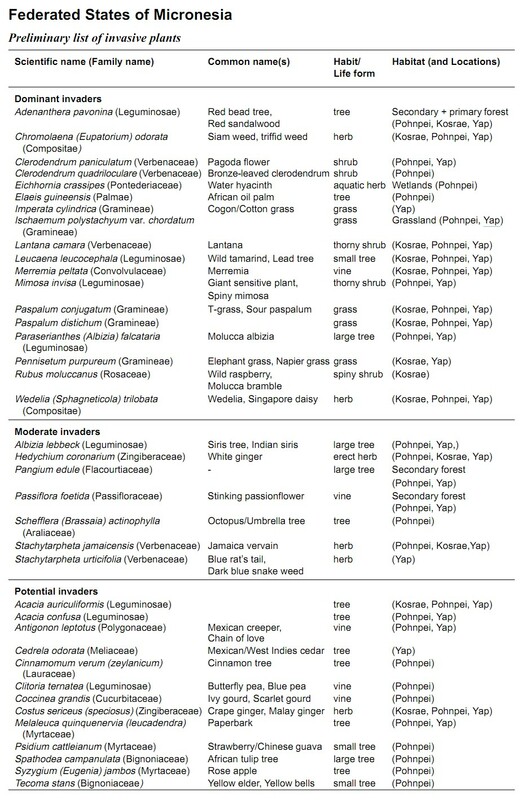 These invasive species, some of which have been intentionally introduced, have serious ramifications on Yap’s economy and biological diversity. Many of the more aggressive invasive plants and pests often overtake agricultural plots and decimate natural forests. A major problem is that these pests destroy staple crops that are vital to Yap’s terrestrial ecosystem. 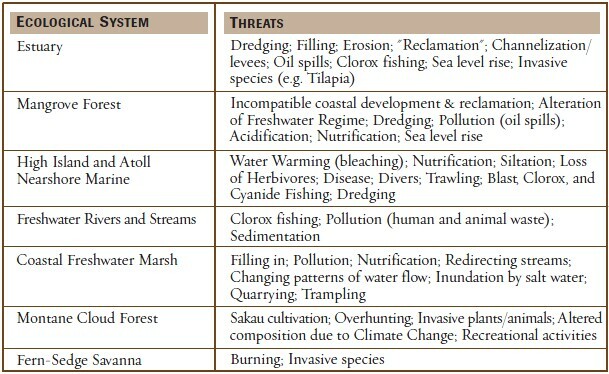 One of the greatest threats to Yap’s biodiversity is an over-exploitation of resources through unsustainable practices. 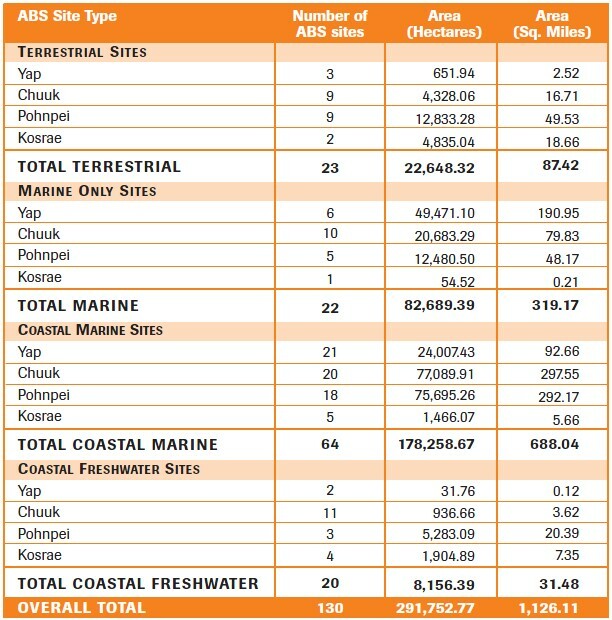 Over-fishing and over-hunting have been identified as the largest threats amongst terrestrial and aquatic ABS (Areas of Biological Significance) sites (YBSAP 2002). The severity of this problem has been worsened by the shift in Yap’s economy from subsistence to more Western commercial practices. This shift has incentivized an exploitation of the limited resources on Yap and has created economic disparities. Prior to this westernization, the FSM was governed by complex land and sea tenure systems and a variety of other methods including social stratification, territorialism, resource apportionment, harvest limitations, and effective sanctions. But many these traditional control mechanisms have been abandoned. 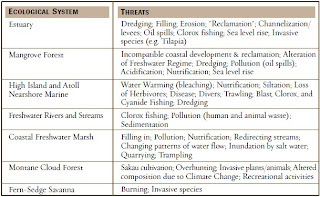 The destructive commercial practices include dynamite fishing, mangrove forest clearing, and the destruction of watersheds to plant Sakau (YBSAP 2002). 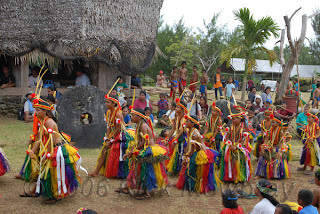 These practices may be more prominent in the other states of FSM, buts still exist to some degree in Yap. These pressures on Yap’s resources have had grossly destructive effects on endangered species. Much of this is allowed for by deficiencies in national legislation. Inadequate sewage systems and improper disposal of waste poses a serious threat to the biodiversity on Yap. The pollution problem is exacerbated by high density urban centers, where coliform contamination is common in ground and surface waters (The Nature Conservancy, 2003). Due to Yap’s island geography and the presence of a water lens, the use of septic systems is unwise. Also, the introduction of Western packaged food is a major problem in and of itself. Increased demand for Western products has led to higher amounts of solid wastes. 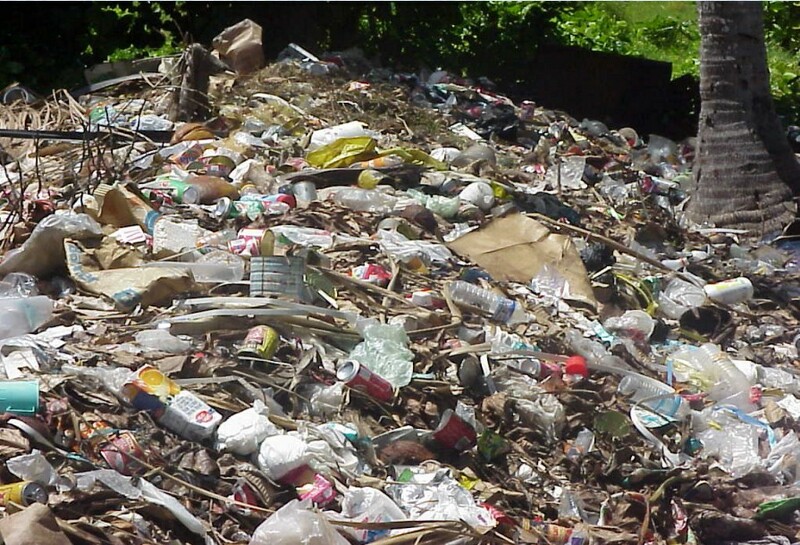 Without suitable landfills, these untreated solid wastes are dumped and form highly concentrated areas of trash. These areas become breeding ground for rats, mosquitoes, and flies (NBSAP, 2003). Another pollution problem is the dumping of trash in Mangrove areas to create land. Of course, this has very consequential effects on the surrounding aquatic life. As demonstrated by the mangrove problem, pollution on Yap is particularly harmful to aquatic ecosystems like freshwater systems and coastal wetlands. One of the essential first steps to conservation is the identification of Areas of Biodiversity Significance (ABS). Research teams delineated ABS sites across the Federated States of Micronesia locating ecologically similar target occurrences in close proximity. ABS criterion incorporates factors like biological value, feasibility, leverage, urgency of threat and cultural/historic value. 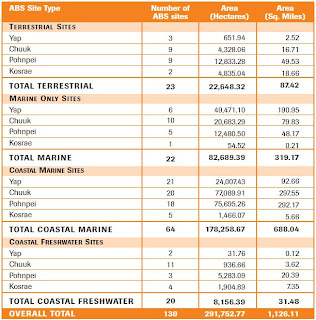 The combined 130 sites encompass over 291,753 hectares or 19% of the FSM (The Nature Conservancy, 2003). In Yap, there are 32 of the 130 sites exist which covers approximately 74,000 hectares (The Nature Conservancy, 2003). 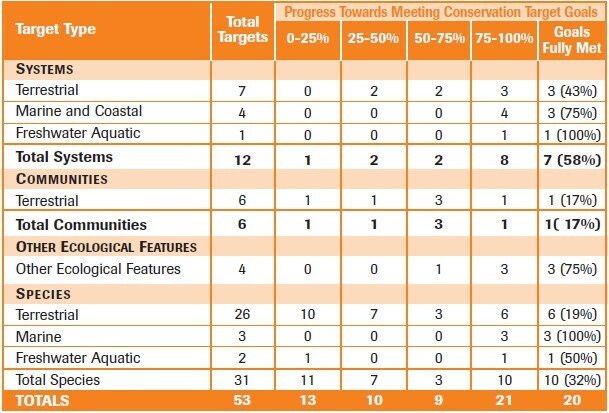 The identification of these sites is crucial to the long term conservation of biodiversity in FSM and to the justification of conservation action. Based on the criterion mentioned earlier ABS sites are prioritized and dealt with accordingly. The identification of ABS sites is also beneficial in that it can act a measure of progress. As shown in the graph above. Gaan, Michael, and Charles Chieng. Yap . 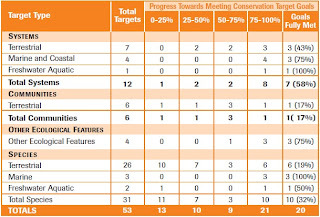 Yap State Biodiversity Strategy and Action Plan. , 2004. Web. 352. Web. 4 Jun 2011. Wortel, Oliver L. Federated States of Micronesia. Federated States of Micronesia Fourth National Report: Implementation of Article 6 of the Convention on Biological Diversity. , 2010. Web. 2 Jun 2011. <http://www.cbd.int/doc/world/fm/fm-nr-04-en.pdf>.